The Iran Market Requires Quality Machine Tools - ANHUI ZHONGDE MACHINE TOOL CO., LTD.
June 22nd of 2015, ZDMT workers are busy with loading machines, which will be delivered to Iran. In the three months after the first shipment arrival, our distributor Mr. Majid and his partners got much callings from customers. 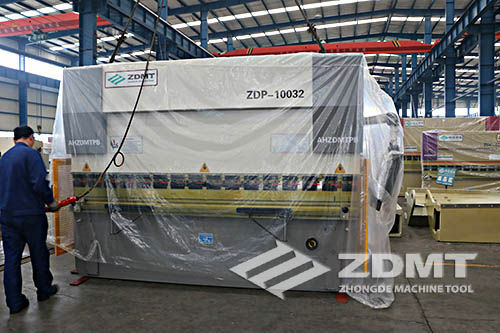 The potential buyers have great interest in ZDMT qualified machines. Many end users inquiried from them and confirm the purchasing orders. Majid told to us that Iran market needed good quality machine. Actually, it is no doubt that it is our undertaking to manufacture high quality hydraulic press brake and shearing machine all the time. Obviously, for our friend Mr. Majid, to bring the quality ZDMT machine to Iran will help him to achieve his enterprise and success, which makes him feel excited. Of course, we know clearly ZDMT is always working for research, design and manufacture the products of highest performance cost. 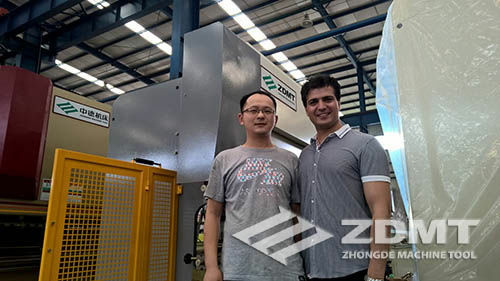 However, when Mr. Majid described to us that how hard he works to seek the ZDMT machines out from the China market and how delighted he was after he found our machine, we are really moved by the work he did and the dream he had, which is to spread ZDMT machine tools in Iran. Moreover, we are also really moved by the trust that Mr. Majid does for our press brake and cutting machine. Historically, there was the story that LIUBEI called on the place of the wise person, ZHUGELIANG. Now, there is the Mr. Majid visits us for many times. We are aware of his pursue on good quality and the deep love to his homeland. As he said, why not bring high quality goods to Iran, we need the best machines. Of course, we are also aware of Mr. Majid's ambition to Iran market, because to choose quality is to achieve a long term market. Actually, we find Anhui Zhongde Machine Tool has something in common with Mr. Majid, that is to bring the customer with hydraulic press brake and hydraulic shearing machine of fine quality while of competitive prices, which would help our users the best to achieve their great business.